Mintage just 3.2 million - tiny for a circulating coin! Struck by the Royal Australian Mint as part of its 2001 Centenary of Federation 20c Series, this scarce decimal coin honours New South Wales. Its symbolic reverse motif features a waratah flower - the state's emblem - against a backdrop of a map of NSW. 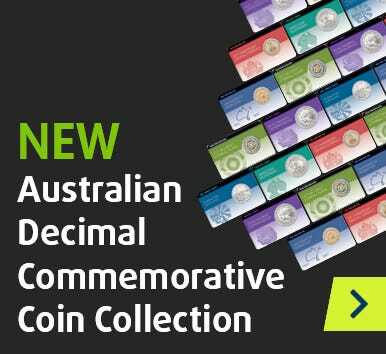 Issued in 2001, the Federation 20c series features the lowest-mintage Australian commemorative 20c coins ever released for circulation. All nine coins are extremely hard to find in change - and impossible to do so in Uncirculated condition! The mintage of this coin, the New South Wales 20c, is just 3.2 million. Considering an average of 40.48 million 20c coins were struck every year from 1966-2016, this is a minuscule figure. Essential for a complete collection, do not miss your chance to secure this critical coin in strictly Uncirculated standard!